TV was a lot different when I was growing up. There were three network stations: ABC, CBS, and NBC. And there was a season that ran from September to June. That's when you saw new episodes of all your favorite shows. The summer was essentially filled with reruns and the occasional made-for-TV movie. My, how times have changed. FOX and CW have joined the network ranks, cable has given us more channel options than we know what to do with, and summer has transitioned into a time when short-season programs run brand new, fresh episodes. One of the shows I'm looking forward to this summer is Under the Dome. Based on Stephen King's brick of a book, it's the story of a town that discovers it's been placed beneath a huge, see-through dome. I think the premise is fascinating. My son can't take it seriously. "It's the Simpson's Movie!" he insists. Which is partially true. But I still think it's cool. Think about it... Where did the dome come from? Why is it there? How does a community respond when they are cut off from the rest of the world? Of course, the metaphor of the dome comes into play. The people inside can see people living normal lives on the other side of the dome, but they can't get to them. No matter how much they want to leave the dome, its restrictions, and its challenges, they are trapped inside. Now, there may be some deep, philosophical thread running through the series. Or it may just be a nifty gimmick with a compelling plot. Either way, I'm watching the first episode, and hopefully all the episodes to follow. How about you? What are you looking forward to this summer? 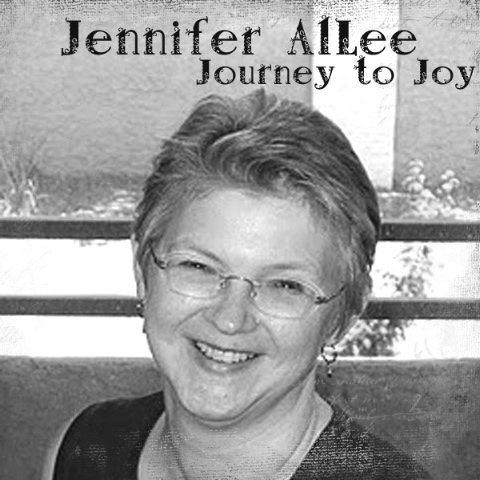 JENNIFER ALLEE believes the most important thing a woman can do is find her identity in God – a theme that carries throughout her novels. 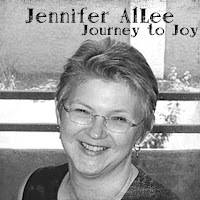 A professional writer for over twenty years, she's done extensive freelance work for Concordia Publishing House, including skits, Bible activity pages, and over 100 contributions to their popular My Devotions series. Her novels include The Love of His Brother (Five Star, 11/07), The Pastor’s Wife (Abingdon Press, 2/10), The Mother Road (Abingdon Press, 4/12) and A Wild Goose Chase Christmas (Abingdon Press, 11/12). She's thrilled to be working on her first historical series with the amazing Lisa Karon Richardson. Diamond in the Rough (Whitaker House) is the first book in the Charm and Deceit series, available now. And... as if that's not enough, her novella Comfort and Joy will appear in the Christmas anthology, Mistletoe Memories (Barbour, 9/13) She's a member of American Christian Fiction Writers, Romance Writers of America, Christian Authors Network, and the Christian Fiction Blog Alliance. We've been really hooked on Netflix lately. It is totally changing the TV game. We might even cancel cable soon. Maybe I should do a post on that. As for new shows, summer is "So You Think You Can Dance" season at our house. We're also watching "The Bachelorette." I think that's all that is even set to DVR right now. Maybe we should try the dome show too. Jen, I'm looking forward to this show, too. I hope it lives up to our expectations. I'm also looking forward to the return of Covert Affairs (love Auggie), and White Collar. This is the first time I'd even heard of the show. Seems like it could be either really good, or really bad. I just saw a new show that I liked pretty well about two private investigators. Sadly I cannot remember the name at the moment. If, I do I'll let ya'll know. A TV is the thing you watch DVDs on. And this is why I depend on my friends to keep me in the loop. I only know one thing about summer 'viewing.' Austenland movie is coming in August. If I had BBC America, I'd be watching Copper. So how did Elementary go for its first season? What's the verdict? The thing with King's projects is that sometimes the fear of unknown is more frightening than the actual antagonist. And that's when my imagination runs out of control and smacks me in my memory for weeks and months after. I might watch the premiere with a pillow hugged to my chest. Just in case. Deb - I really enjoyed Elementary. Nelson even started watching it half way through the season. That tells you something right there. Heh.